Handmade in India. Rayon 90% Wool 10%. kay me SELECT is chosen specially for you: experience the quality and beauty of this wool blend scarf handmade by Indian artisans. 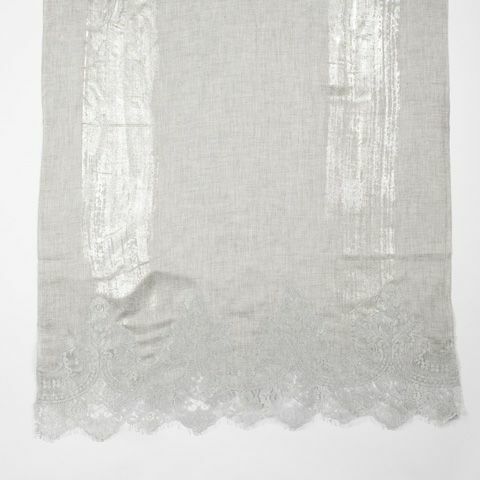 Light and airy yet warm and comforting, this scarf features delicate handwoven lace and silver foil on a cool grey background. 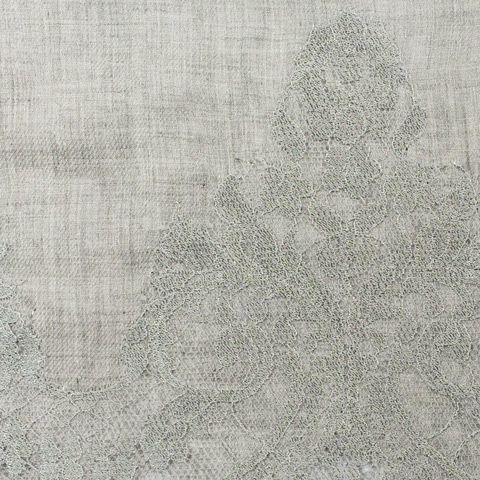 Stunning lace meets a luxurious wool and rayon blend, produced by hand in India for a truly beautiful result. 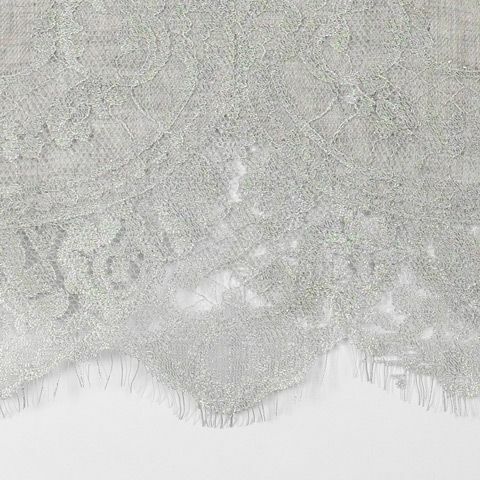 Layers of delicate wool blend and lace are used to give extra volume and warmth - wrap around the neck or wear loose over the shoulders.